You are here: Home / Dental Articles / What is deciduous dentition or Deciduous teeth? Deciduous teeth is otherwise called as Milk teeth, Baby teeth, Temporary teeth or Primary teeth. These are the first set of dentition or teeth that any mammal gets during their lifetime. They start developing when the child is still in its foetal stages, and they are visible in the very small age of life. They fall off before the teen age is reached and then are replaced by the permanent teeth. 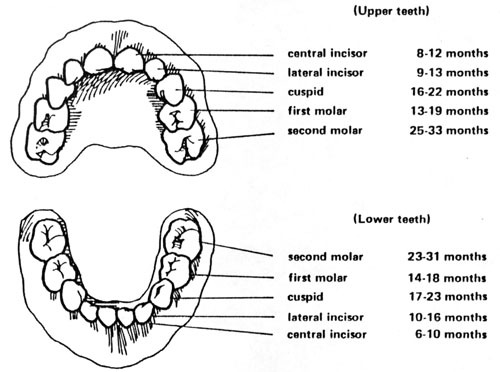 There are no pre-molars seen in temporary teeth and so, there are a total of 20 teeth seen in deciduous dentition.